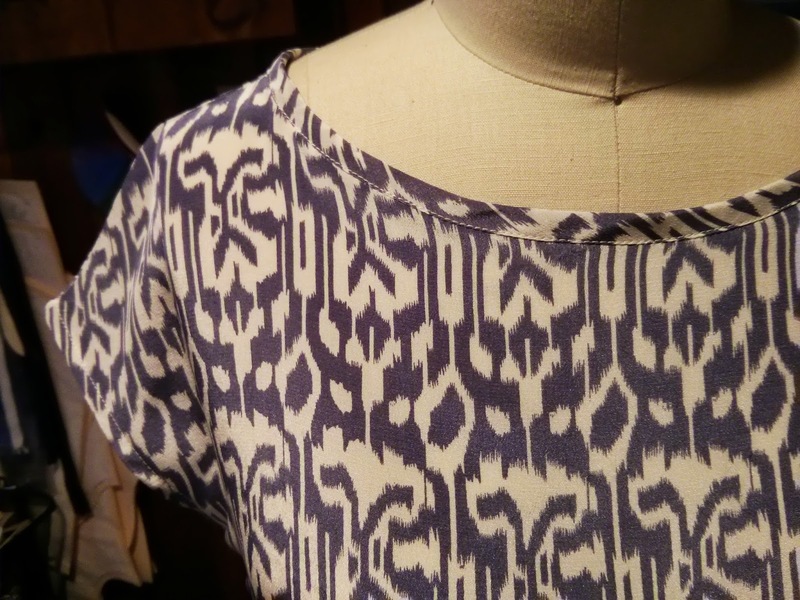 Silk Ikat Dress: I Love a Good Print! This was a sewing project I finally got around to this past weekend. I had the fabric and pattern laying out for months, waiting to be cut and stitched together. 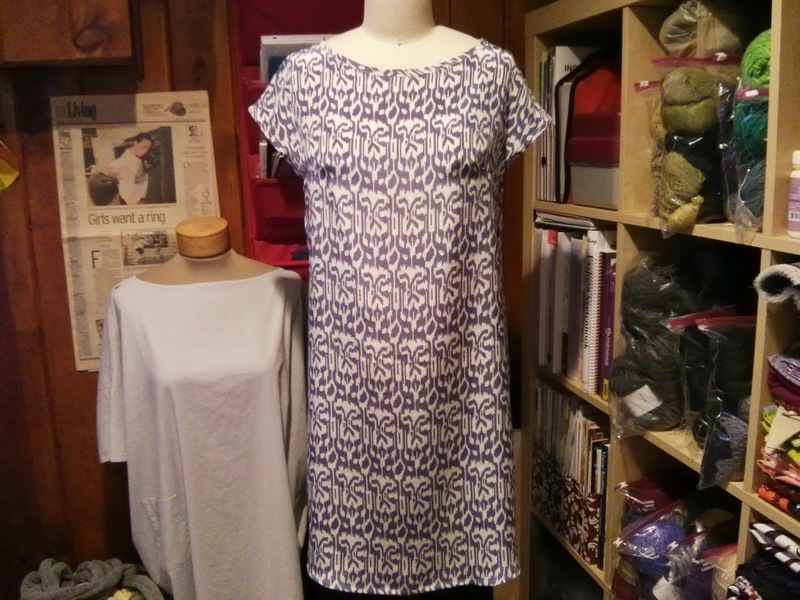 The dress is another project from Home Couture by Machiko Kayaki. It's actually a pullover shirt pattern that I modified to be a dress. There are also supposed to be ruffles down the front, but I decided to omit those from my finished project. I love the French sleeves; they are my favorite style. The most time-consuming part was the trim on the neck and sleeves, but overall, it was a quick sew.